I can now tell you about our “little surprise” – and I don’t mean Hayley’s birthday today, because that’s not a surprise at all. But of course, happy birthday Hayley! 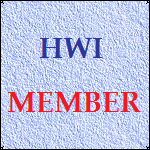 Today on 10th April 2010 and after 5 months work, we have launched a redesigned and updated version of the HWI website. By using a modern "Content Management System" this will allow the management team (and not just me!) to keep our news about Hayley (career and concerts) more up to date and more complete than ever before. 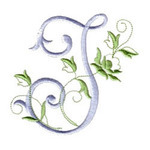 We may not quite manage to keep up with the forum, but we’ll have a jolly good try! There are many new features already in place, so do take a look around the site, but it doesn't stop there: we are continuing to develop it and will be adding yet more features in the coming weeks and months so watch this space! The entire original HWI websites have been kept and will work as they always have, using handy “Archive” links from the new main menu and a dedicated Archive page. Many thanks to Joe and Richard for all their help in functionality testing and design advice, they have been involved since the end of last year and Richard in particular has added a lot of content too, possibly more than me! Thanks too to the rest of the management team and staff, who have been involved since January, it's all been a great help. We hope you like the site. The "login" link is only for staff who will be updating the site, there is no advantage for anyone else to log in as there is nothing extra to see. We need to start slowly as this kind of website is new to us and there are bound to be problems to solve, so we will keep it simple for now. I'd better hide the link now, so i will, to avoid confusion. Later in the year we can take another look at it and if by then we decide to introduce new features that need users to log in, we can do it then. Congratulations on the launch of the new website! I think it is a real achievement and step forward for HWI! congratulations guys, great work its really pretty.. and mostly user friendly. is there a link to photos somewhere or do we just not have any? i mean new ones. i guess they would be all here anyway, so theres not really much point. sigh. That's a question for Dave. It definitely is on the 'to do list' but there were some issues with setting up the galleries. We didn't want it to delay the launch of the website, so we decided to start out without it. I hope you all enjoy the new site, and any comments or suggestions will be welcome. Many thanks to Dave for all the hours of hard work that you've put into developing the site, and also thanks to Joe for your help with the testing. The new website looks really great - well done to all involved. Of course, I just have to say that I love the headline pic of Hayley currently, as it was taken in my home town during the Winter magic tour. I think its a very appropriate pic as Hayley got a fantastic welcome from an extremely warm audience. Great work - looking forward to having a good look round as other bits are added. So many congratulations on a job very well done and for keeping it a secret. I hope Hayley likes her birthday present, though I'm sure she will. May I add my thanks and appreciation to everyone involved for all the time and hard work involved with the re-launch. I have enjoyed looking around,well done. I love it!!! It looks really good, you guys did a great job. I bet Hayley will like it too! A lovely present for her. WOW, great job! It truly looks improved. And I am sure you'll make it even better! Thank you, everyone who got involved. Thanks to you, Joe and Richard on the great new HWI website. It's such a fresh new look. I'm very impressed. It's also very easy to use. What a great revamp of the website! I love the fresh modern look! I'm sure Hayley will appreciate it also! Thanks everyone, and yes Spiderman and Jillian, a photo gallery is top of the "to do" list. We do have a fully working one but I had to switch it off when a potentially serious "bug" emerged, but it can be fixed - or a different gallery system used. It won't be too long. Meanwhile, all the old photo galleries on the original sites are still there, intact - the link is on the "Archive" page, top right.